I visited the markets picking up some some locally made creamy Lancashire cheese (it's the best Lancashire cheese going and great for cheese on toast) at the Crumbly Cheese on the inside market, and some fresh figs from the fruit and veg stall on the outside market. 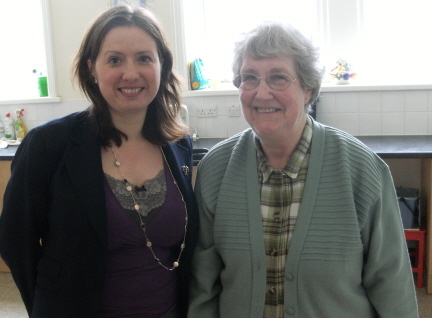 It was then time to pop in to the Age UK Todmorden open day. Having worked closely with Age UK in the past (during my time at ILC-UK), it's always great to see the wide range of services and assistance they offer to older people and their families. However, people are not always aware of the help they can get, so open days are a good way to spread the word (and there was tea and cake on offer too). After a quick lunch, it will soon be time for some canvassing; wonder how many voters I'll meet that I know?